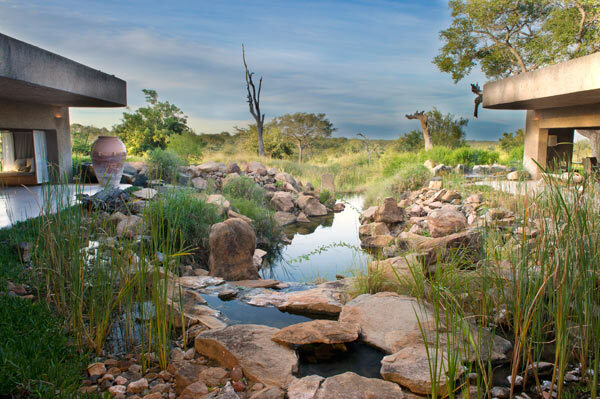 When Earth Lodge was first conceptualised, with the idea of breaking the mould of all existing safari lodges with its organic architecture – co-creator and Sabi Sabi Director Jacqui Loon described the style as ‘a brave and strong departure from the traditional ‘colonial’ concept. Fifteen years and two major revamps later, this philosophy has evolved into a virtual reflection of our country’s African Renaissance. The style of the unique architecture was inspired by “Earth Shelter Architecture” from the Middle Ages, where the buildings are excavated into the slope of a site, and the vegetation put back onto the roofs. 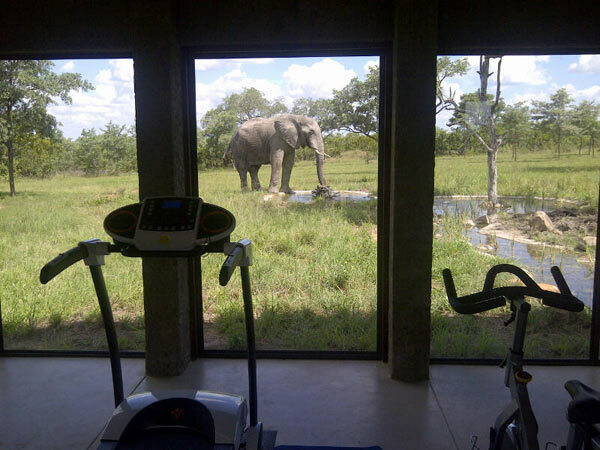 The buildings merge so well into the landscape, they are virtually invisible, so discreet that, much to the chagrin of the Lodge Managers, elephants tend to graze right on top of the lodge buildings. The result is a lodge that takes its cue from nature, blending in with the surrounding landscape. By the very nature of the architectural design, guests have a more holistic experience; one that combines the thrills and luxury of an ultra-luxury 5 Star safari with a spiritual component. 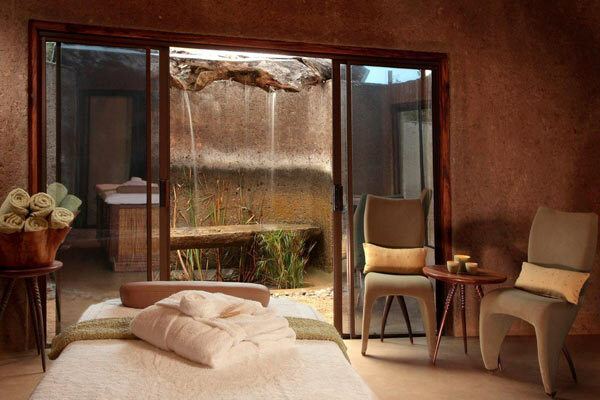 A glass walled exercise room, dine-in Day Bar, well-stocked library, Amani African Spa and Zen garden are all integral extras in the Earth Lodge experience. One can hardly put into words the feeling of one’s mind and body relaxing into the nurturing environment. Perhaps it’s only on departure that you realise you have been subtly changed forever – and the need arises to come back and back again. Earth Lodge reveals the metallic influences that symbolise the rich resource wealth of South Africa and showcases the best that the continent has to offer. The breath-taking lodge leans heavily on Nature for inspiration. Hides and skins adorn the floors and furniture, flecks of gold and silver shoot through the fabrics and reflect on the metal ornaments, salvaged sticks and branches hang from the high ceilings in the form of chandeliers. The walls are covered in a specially concocted paint which includes snippets of veld grass, table legs are reminiscent of horns and table tops suddenly become lily leaves. It is no wonder that Earth Lodge is consistently listed as one of the world’s most desirable destinations and the reason that the National Geographic Society chose Earth Lodge as one of their Unique Lodges of the World – a unique destination that is not for passive travellers but rather for guests who want the most out of every experience….authenticity, sustainable tourism practices, an enriching and inspiring journey coupled with the exceptional spirit that is sublimely Earth Lodge.